and I was absolutely delighted with the results! So many of you responded and I got some amazing answers. I'm only sorry I couldn't include them all in this post. 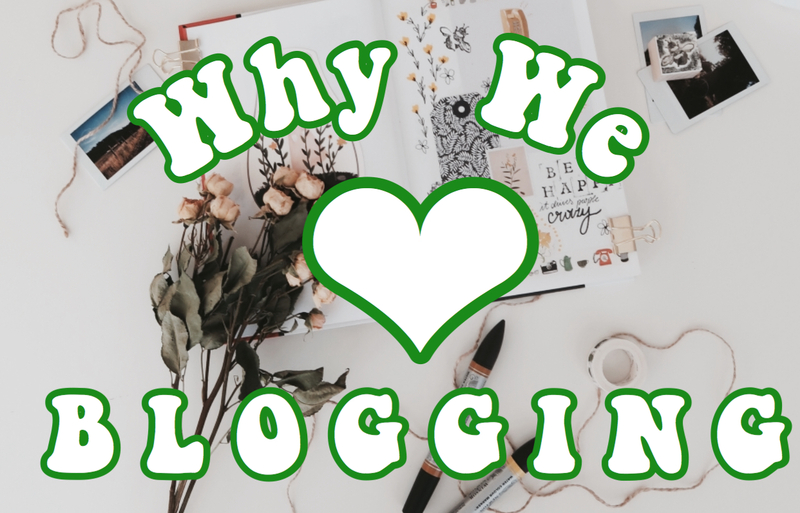 So now enjoy what WE love about blogging! My favourite thing about blogging is obviously the creating however I love the responses I get from them too! If I ever receive a message telling me that one of my posts has helped someone, I love nothing more than that. I write to help and inspire and if do that, it’s great! The community. I’ve met some amazing people and made good friends through blogging. Hands down the best thing- because real friends are there through the highs AND the lows. To me, my favourite part of blogging is getting to watch something I love to work on grow and getting to meet lots of new people along the way. 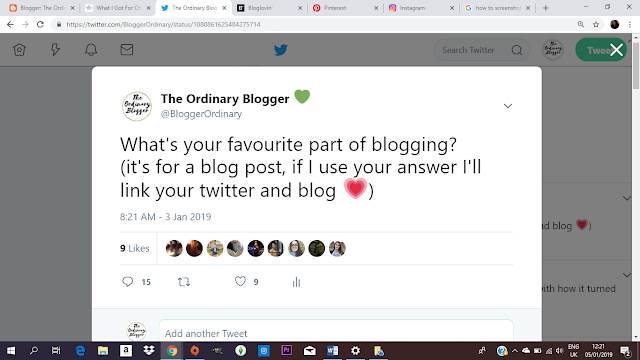 Thank you so much to everyone who told me about there favourite part of blogging and I'm truly sorry I couldn't put everyone in this post (let me know if you'd like a part 2 where I ask the community another question and share responses x). I really enjoyed making a post like this where I got to share your opinion on certain topics. If you enjoyed this type of post and would like me to do more like this where I ask (on twitter or instagram?) about a topic and shared some responses let me know! As always thank you so so so so so so so so so so so so so much for reading! Aww thank you for including me in your post! Let's keep creating! Loved to see other's responses too. Thank YOU for responding to my tweet! Here's to creating! Great post and great timing. I was asking myself this very question this morning - what parts of blogging do I love and why? For me - a big part of it is the writing; it helps me realize what I really think about things. And also the sense of mastery when I finally learn how to do something new! Thanks for sharing the thoughts from other bloggers - this was interesting to read! Thank you so much Joan! I'm glad you enjoyed!